JOHN DANLEY is an experimental, fingerstyle guitarist who composes and performs his own blend of acoustic, instrumental music. John has developed a style of guitar playing by using a housepainter's paintbrush to add percussive sounds to the instrument while simultaneously creating colorful harmonies and distinctive melodic hooks. His exposure includes extensive airplay on syndicated radio stations focusing on folk, new age, acoustic, jazz, blues and world music. John Danley is a regular contributor to National Public Radio's All Things Considered, Public Radio International's To The Best of Our Knowledge, a performing arts entertainer and composer of music for film and television (including TBS soundtracks for cable). He has performed at The Kennedy Center, college universities, festivals, art galleries, workshops, the Healdsburg Guitar Festival, and has shared the stage with such artists as David Gray, Iris DeMent, Gove Scrivenor, Reese Wynans, Cheryl Wheeler, Peppino D'Agostino, and the Nashville Symphony Orchestra. Nominations and awards include The Nashville Scene's "Best Guitar Hero" in 2002 and ?best solo guitar album? Cemeteries, Missed Trains and Blue Skies and ?best solo guitar song of the year? Hickory, 2004 JPFolks Music Awards. In addition, Drifting into Oblivion, John's 5th solo release, was nominated by JPFolks in 2006. Amber Dispositions, his 7th solo release, was nominated for JPFolks 2009 Solo Guitar Album of the Year. 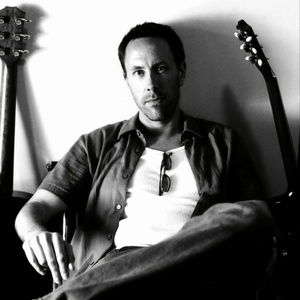 Toledo was nominated for 2009 Solo Guitar Song of the Year.